Everyone needs a little help getting over the hump. A lot of people are not saving anything for retirement or even a rainy day in their emergency fund. Many people think that their budgets are so tight that they cannot save another penny. I am here to tell you that you cannot afford NOT to save! Send A Text Message. 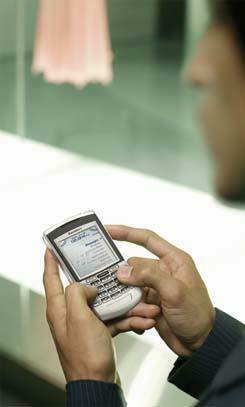 Ask your bank or someone you love to send you a monthly text message reminding you to save money. A recent Dartmouth study found that savings rates increased by 6% on customers whose banks reminded them to save their money. Constantly Sell Things. I always have something for sell on eBay or Half.com. I just found a used bookstore in my town that will buy old books and give me credits for new ones. Save Pocket Change. Save all of your pocket change or get one of those fancy debit cards that rounds up all your purchases. I put all of my spare change in a jar, and at the end of each year, I have about $500 to deposit into a real savings account. It is a great way to save even without realizing that you are doing it. Write Out Your Goals. Write you financial goals on little notes and leave them everywhere. Make short and long term goals, and post them on the refrigerator where everyone can see them as they walk by every day. Want to get out of debt by 2012? Tell all of your friends and family members about it! Peer pressure can have some positive attributes after all no matter what our moms said to us growing up. Stretch out the time between your haircuts. My hair grows fast, and I like to keep it very short. So, I get my hair cut every two weeks at a cost of only $10 per haircut. I could save $10 a month by getting my hair cut only once per month. $120 per year invested at 8% over a 40 year working life would amount to almost $35,000. Nothing to sneeze at. If you normally get your haircut once every six weeks, try stretching it to once every eight and save yourself the cost of at least two haircuts and tip per year. Saving money is not easy. I understand. But, it is not impossible either. The best way to go about doing it is to trick yourself into thinking that you are not even saving at all. Out of sight, out of mind, and right into your wallet. Do you have a crazy saving tip? Tell us about it by leaving a comment below…. I save all my change and put it into savings. One year I took my daughter for a weekend birthday camping on the beach trip using just the money from our change jar.